I’ve always had a weird gut feeling about cows’ milk. I don’t know why. Even though I love ice cream, cheese, and a splash of milk in my coffee and tea, I’ve been mildly repulsed by straight milk since I was a kid. It doesn’t make sense. Trust me, I know. Because of this mild repulsion, when my sister originally introduced me to the Whole30 movement, the idea of cutting out diary wasn’t that scary to me. In fact, I am pretty eager to embrace the dairy-free life. At least kind of. I really love cheese. So that might be a little tough. But when we actually get around to starting the Whole30 challenge (very late to the party), I’ll dive in head first. 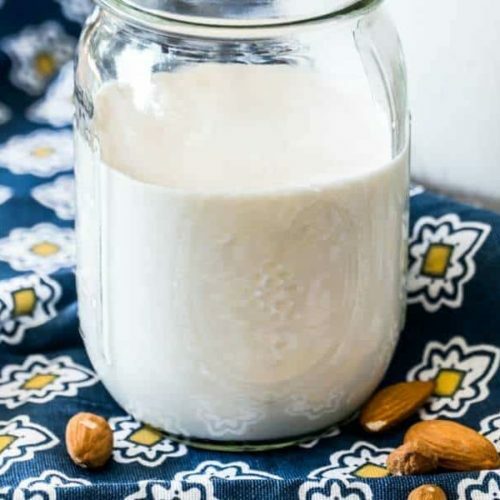 After researching the various and crazy kinds of milk substitutes out there, my personal choice ended up being Almond Milk. It, in my opinion, is the most “whole food” worthy. The problem, though, is that every choice of in-store Almond Milk brands contains all kinds of weird stuff that doesn’t make sense to me. These two ingredients are blended together and strained. 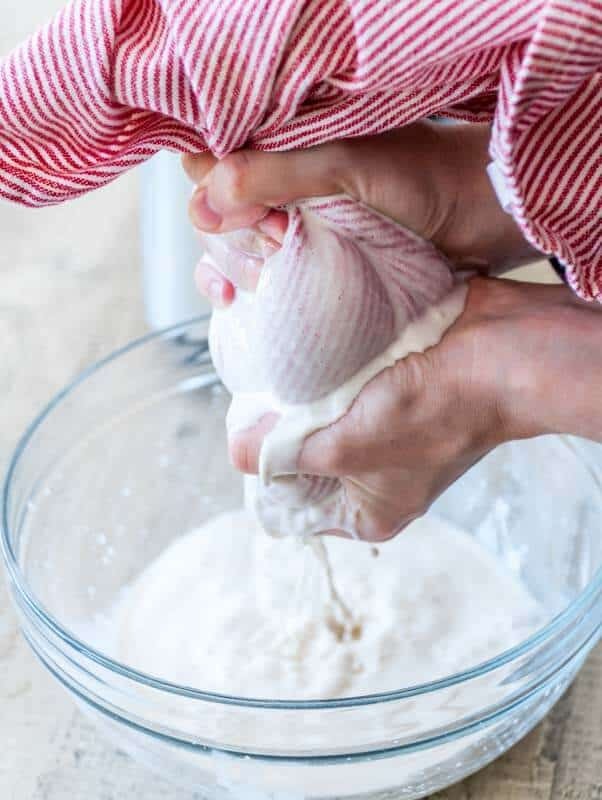 So, even though this post is all about an “almond milk recipe”, it’s technically not even a recipe. That’s why homemade is best. Always. 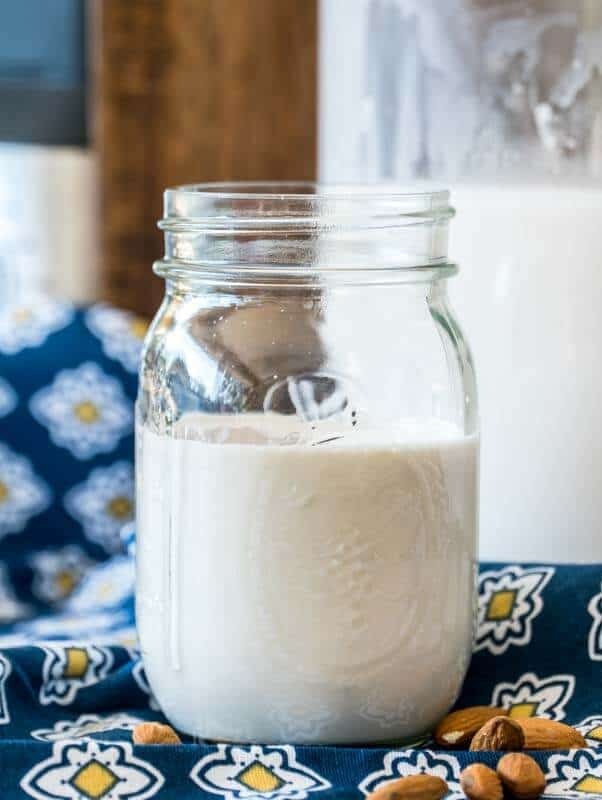 What’s also super shweeet about making your own Almond Milk is the fact that you not only know EXACTLY what you’re putting in your body, but you pretty much get two products for the price of one. Yep, the by-product of making your own easy, delicious, homemade almond milk is good, raw, and organic (if you bought organic) almond meal. Yep. Awesome, right? And are there any benefits to almond milk, like is almond milk good for you? 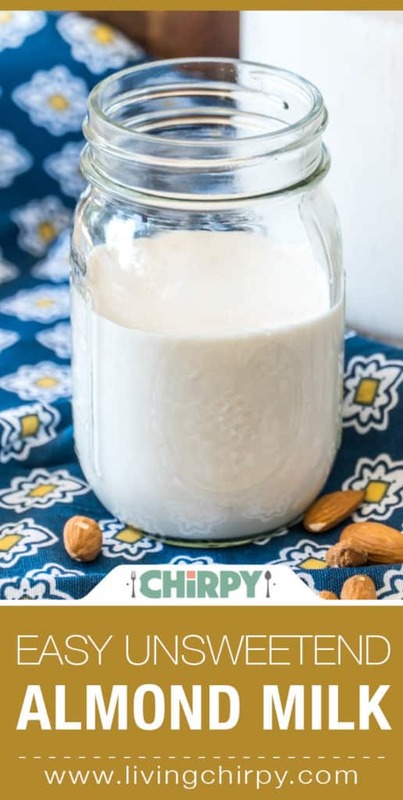 Well, if you look at the nutritional information down below the recipe card – you’re pretty much just drinking water with a bit of almond essence in it, hardly nutritional, but definitely a good alternative if you’re vegetarian, dairy-free, or just plain need to slice a few calories from your diet. 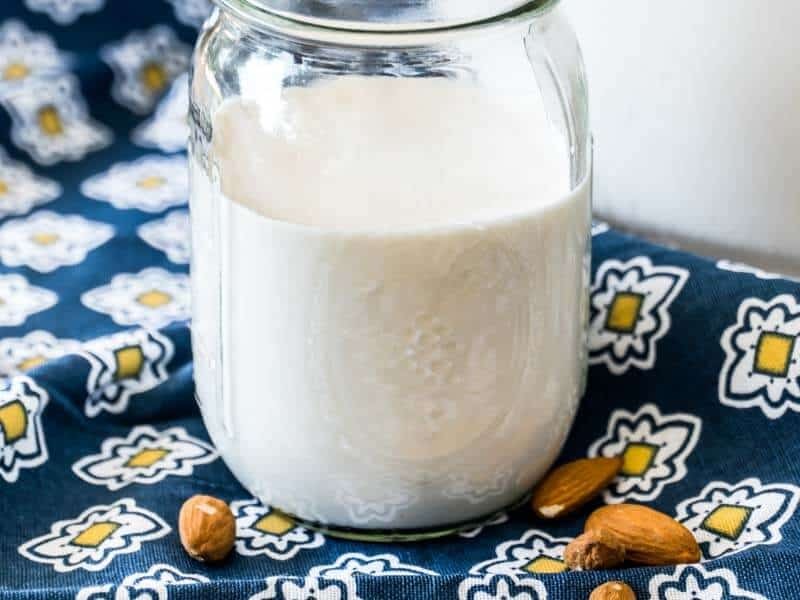 Almond milk is naturally sugar-free, low in carbs, and low in calories. It’s a win-win situation if I ever saw one. 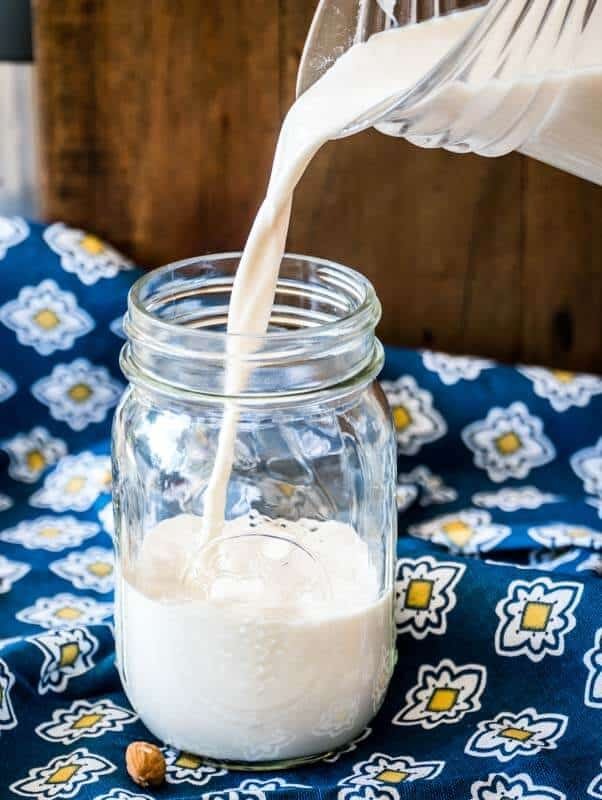 Although I love and prefer plain unsweetened almond milk, it’s soooo easy to spruce it up in any way you can imagine. For a hint of sweetness, add a spoon or two of raw honey. 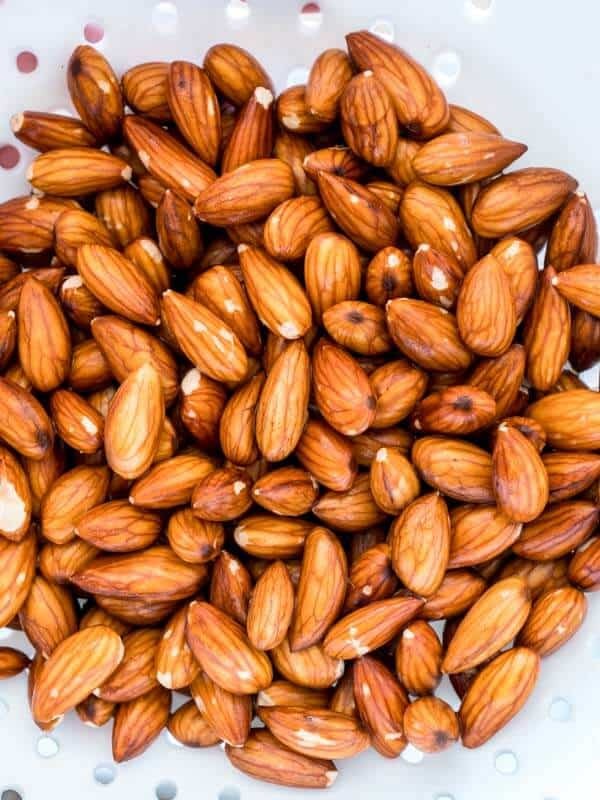 For delicious vanilla almond milk, you guessed it – add a few drops of vanilla extract to taste. Don’t get me started on chocolate almond milk…. whisk in some unsweetened cocoa powder and bob’s your uncle! *Usually lasts 3-4 days in the fridge. 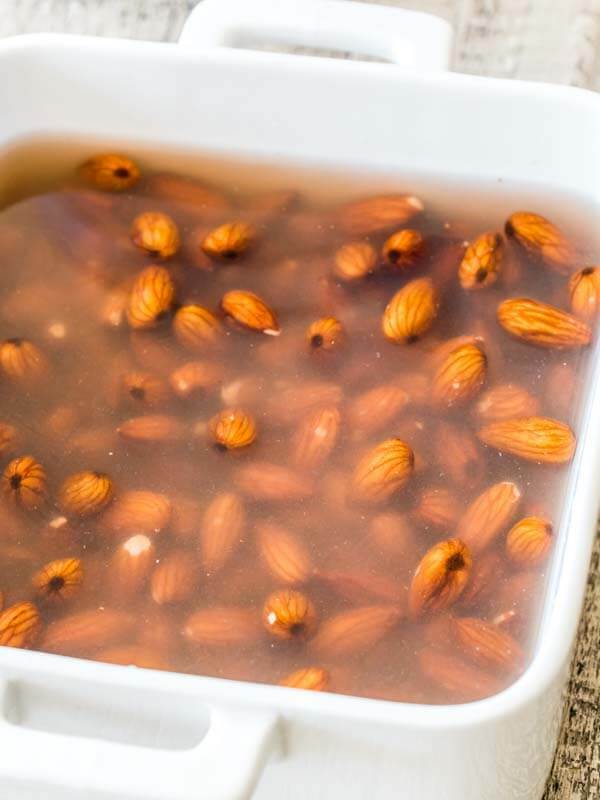 Cover the almond in water and soak overnight. 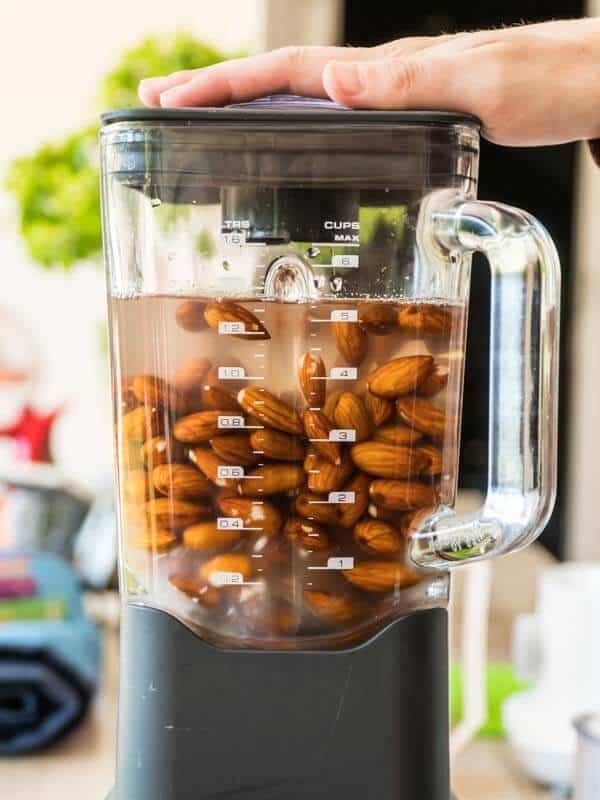 Rinse and put the almonds into a blender. Add the 6 cups of filtered water. 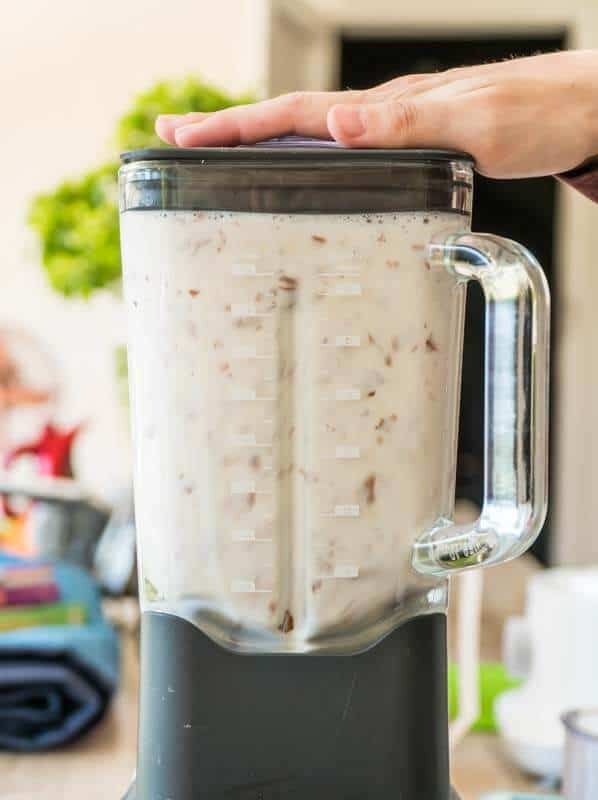 (If all 6 cups don’t fit into your blender, use as much as you can, and add the remainder after). Blend on high until completely smooth. At least 3-5 minutes. 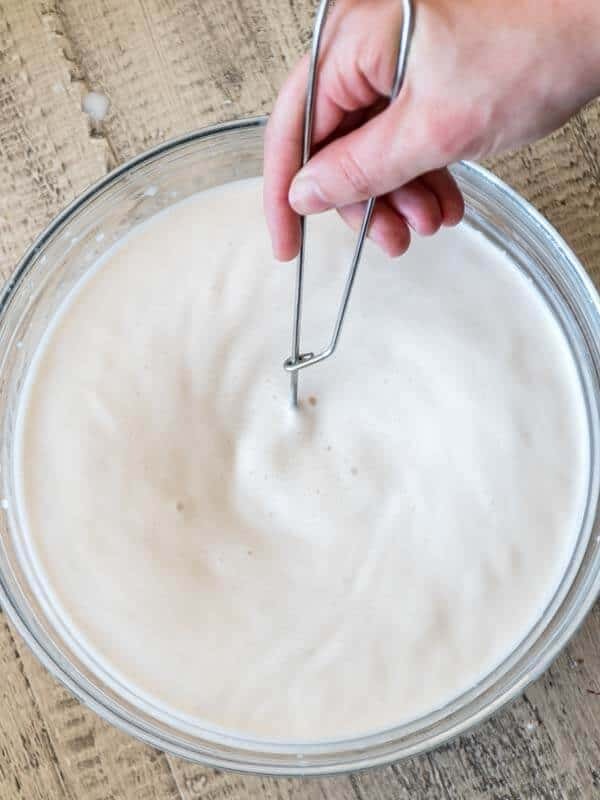 Pour the blended mixture through a nut milk bag or clean tea towel and squeeze all the water out. Transfer to a jug with lid and refrigerate.